Donna Zincone is Making Strides Against Breast Cancer! 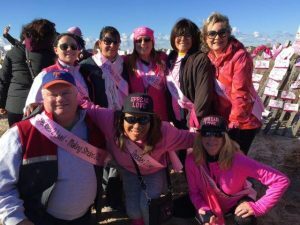 Donna Zincone of EisnerAmper LLP is walking for the 13th year in a row in the American Cancer Society’s Making Strides Against Breast Cancer walk on October 15. And you can sponsor her team! Donna is a breast cancer survivor who is committed to promote early detection and to help those impacted by the disease. In 12 years she has raised over $42,000! Even a small donation from you can help, so please consider supporting Donna by CLICKING HERE. Thanks, in advance, for the support!